Once Upon a Twilight had the wonderful opportunity to spend time with the Director, Writers and Animation Supervisor from The Peanuts Movie in New York City and Los Angeles this summer. Below we will share our experiences and some pictures from the Los Angeles presentation. Enjoy and go see The Peanuts Movie in theaters TODAY! First up is Shawn's experience at the footage screening at the Little Theater in Los Angeles. Walking the back lot of Fox Studios in Century City, you could feel a small excitement in the air! Inside of the Little Theater was a small crowd of journalists and a few movie insiders with their children, all of us there to catch a sneak peek of Snoopy and the gang for their new movie The Peanuts Movie out in November! Before the screening of some scenes the director of the film Steve Martino (also one of the directors of the Ice Age movies), Writer Craig Schulz and Jeannie Schulz (son and wife of Sparky Schulz, the creator of The Peanuts Comic Strips) were in attendance and spoke a little bit about the behind the scenes making of the film. It took Martino a year of research for the movie and with the help of the Schulzs and their museum in Los Angles, they learned the key of the famous Peanuts animation to transform the comic strips to the big screen! It took another whole year to get the animation just right and to create the world of Charlie Brown. It was a very difficult process to do combining CGI 3D animation with the original 2D drawings. Some of the Crew also went to St.Paul, Minnesota where Sparky Grew up to really animate more of the world of Charlie Brown. All the time, effort and research they put into this picture really did show thru the clips they played for us. The story feels new but keeps the nostalgia of the television specials and comic strips that America has fallen in love with year after year. 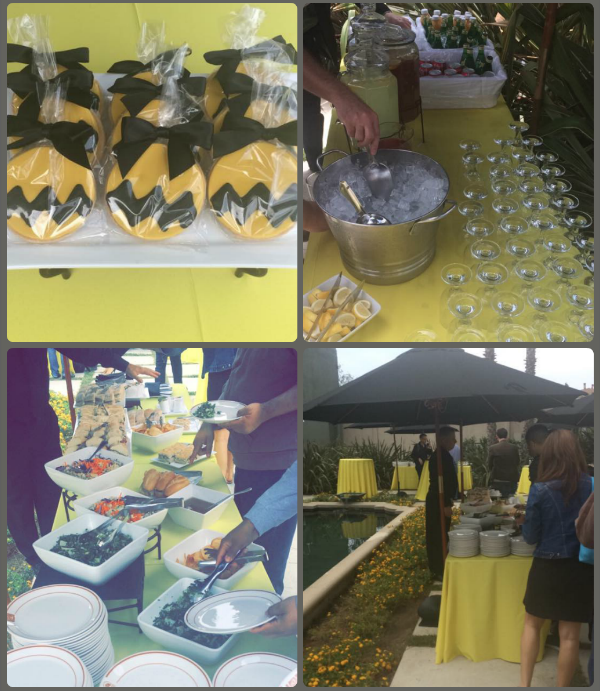 After the show and tell, the studios graciously asked us to join them for a nice lunch with a meet and greet! I spoke to one of the head animators (whee) he gave us some interesting trivia about the casting of the voices of these beloved characters. They went thru 100s of auditions tapes for each character to find the perfect voices that sounded exactly like the voices from TV specials and old movies! Great detail, love and humor was put in this film and it's sure to be a new family favorite! Now we take you to the presentation that Erin attended in New York City. At this location they did not allow photos but Erin was able to capture everything for you in her summary. On July 21, 2015 in NYC I had the wonderful opportunity of attending a sneak peek of the new The Peanuts Movie that is coming to theaters in November. Director Steve Martino and Animation Supervisor Nick Bruno from Blue Sky Studios lead the talk. It was so interesting to here Steve Martino speak about his love for the Peanuts and how the studio was thrilled when Charles Schultz children came to Blue Sky Studios asking them if they could make a full length feature film in honor of their father and his legacy. Basically Steve said how the Peanuts is a simple story about a boy and his dog and the studio wanted to hold true to that concept while expanding on the universe that made Peanuts so popular. As a result Charles Schultz children helped with the script and helped give the studio access to all of their fathers Peanuts drawings and comics. The Blue Sky team even went to the The Charles M. Schulz Museum and Research Center in Santa Rose California for all of their research. Animation Supervisor Nick Bruno talked about how they wanted to look and feel of this movie to be different from the TV films shown in recent years. They wanted to get back to the magic and feel of the classic peanut movies from the 1960's and 1970's. As a result they wanted to use Charles Schultz real drawings for the new movie. However the task was difficult. Follow the pen lines is what director Steve Martino told his animation staff. This means you have to see the pen drawings that Charles used when drawing his beloved characters. However the challenge of this was very hard to over come. Nick talked about how they had to reteach the whole Blue Sky staff a new way to animate. They lovely called it the "Lucy Van Pelt University ". For four weeks the Blue Sky staff all went back to animation school to learn how to animate the new Peanuts. He said it is one thing to have a 2 dimensional figure in a small frame from the comic strip but it is quite different to turn that 2D figure into a 3D figure on a larger scale. Another problem they encountered was how profiles of the characters did not match up when the character was facing forward. He talked about how with trick photography and some advanced animation they were able to solve this problem. In the end he was very pleased with how the animation came out and how it felt like the comic strip was jumping off the screen in 3D form. 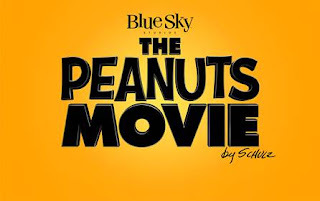 The Peanuts Movie Steve and Nick said that Blue Sky had been working on for the past 3 years and that the film was still in the editing process but they had a few clips to show us. It was also a lot of fun to see the clips of the movie where you could see a lot of classic elements about peanuts being brought to life. From music to timeless ice skating sequences used in the 1960's Christmas Special. It was nice to see them blend the old with the new. They said the only new things they added to the movie were some updated music to make it more modern. They also introduced some new characters to this film. Such as Fifi the poodle who Snoopy loves. They told us that Fifi was mentioned in the comic strip over the years and was seen in the Peanuts TV special movie called Life is a Circus in 1980. Steven said it was a lot of fun to explore her character more and how Fifi could fit into the classic Red Baron dream sequence with Snoopy. Over all I found the clips that they showed us from the film to be wonderful. Being a Peanuts fan myself I felt that the new movie had all of the timeless elements that makes Peanuts so great while introducing the comic in a fun way to a new generation. I am looking forward to seeing the finished movie when it comes out in November.